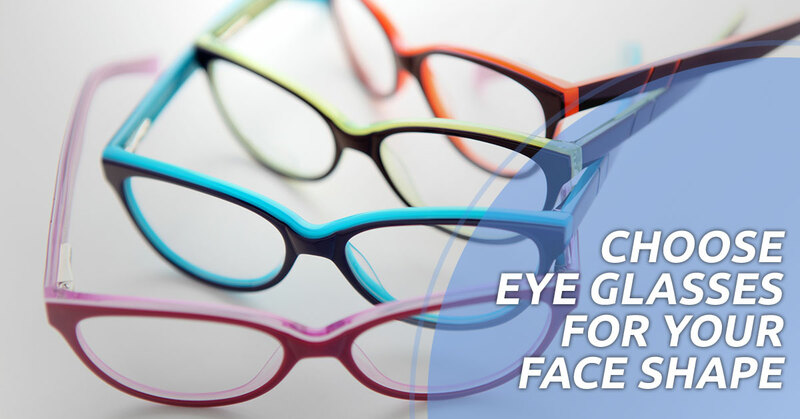 If it’s time for your routine eye exam with us at Crescent Eye Care in Charleston, you might be looking forward to upgrading your eye glasses, but how do you know which frames will best compliment your face? While trying on different styles until you find the perfect pair is a great way to choose your new specs, it’s helpful knowing which eyeglass styles compliment the shape of your face. Our vision experts know your time is valuable which is why we have compiled a few tips to help you determine which frames may compliment your features. Oval faces are one of the most versatile faces when it comes to eyeglass styles, as most square and rounded frames featuring dark or light colors will complement a slightly curved jawline that is narrower than the forehead. However, you might want to avoid oversized frames that overpower your facial features. To soften a broad forehead and strong jawline, you might choose dark-colored, rounded or oval specs that offer a nice contrast to strong features. While square and rectangular glasses are always in style, frames with geometric shapes are best for more rounded faces. Aviators, oval, and rimless glasses with strong brow lines provide a nice balance for a broad forehead with a narrower, angular jawline, while also enhancing your facial features. Try or avoid narrow or thin frames that draw attention to your brow and eye line. Square, rectangular, and angular frames give a nice contrast to fuller cheeks, a rounded chin, and broader or wider forehead. Angular styles elongate the face, giving the illusion of a slimmer face, while rounded glasses with small or large frames can make the face look rounder. We hope you have found these tips helpful in your mission to find the perfect pair of eyeglasses. Please call us if you have any questions or to schedule a comprehensive eye exam with our vision experts at Crescent Eye Care. We look forward to seeing you!